We’re saddened to learn that Warren MacKenzie passed away Monday, December 31, 2018, at age 94. 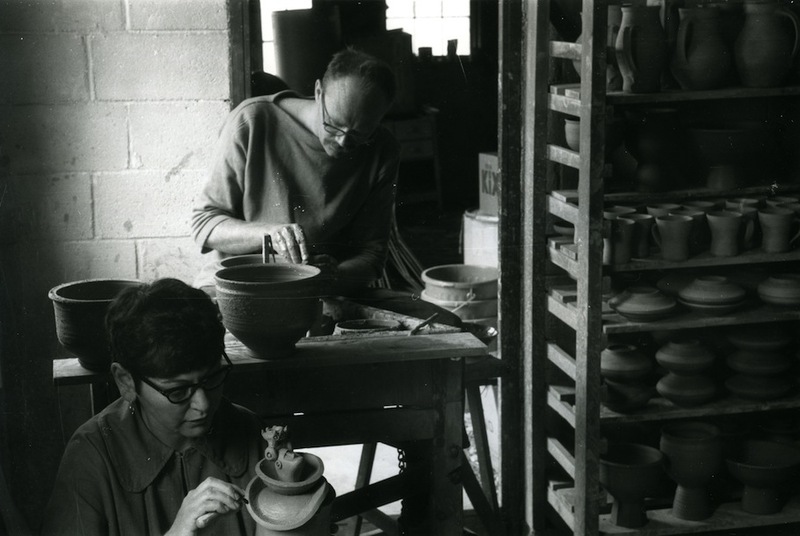 In commemoration, we share this piece, written to celebrate the potter’s 90th birthday. 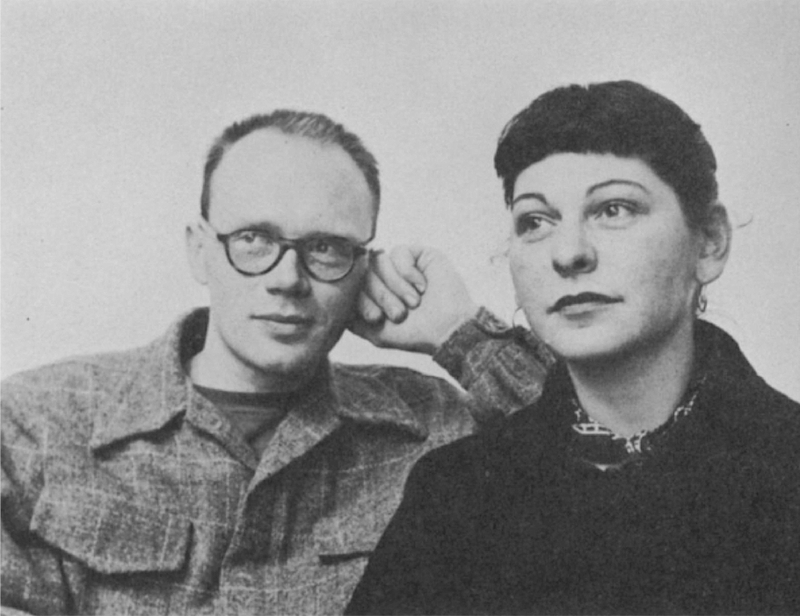 In Design Quarterly, released in conjunction with MacKenzie’s 1961 show at the Walker, editor Meg Torbert wrote that his work is “completely dedicated to art, yet … pursued for the express purpose of sales.” Looking back on a career approaching 70 years, how do we comprehend the seemingly opposing views MacKenzie and Torbert are presenting? 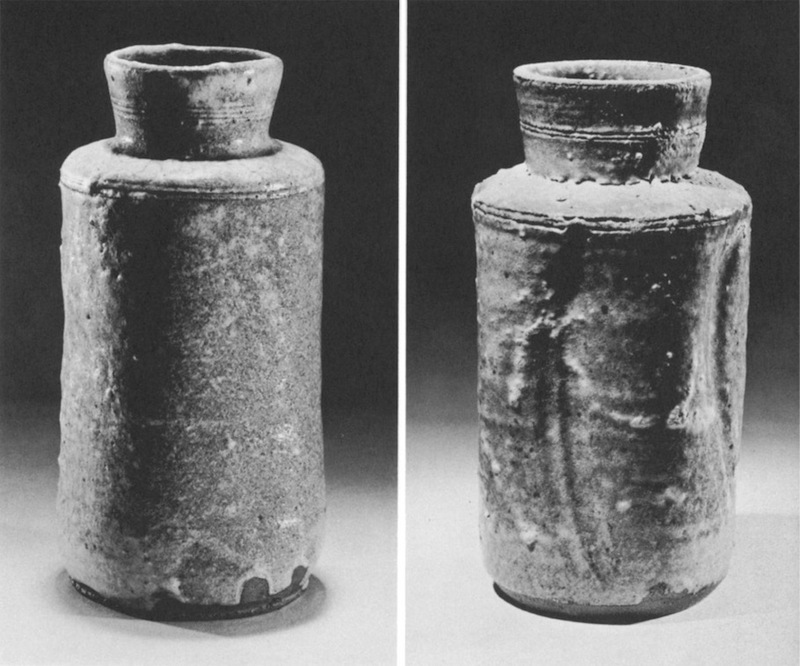 It’s best that we eschew the classification of art or non-art and view MacKenzie’s pottery in terms of individual experience. Putting his career in the simplest of terms, MacKenzie just loves to make pots. His fascination with this form of independent creation began at the Art Institute of Chicago and continued in St. Ives, England. 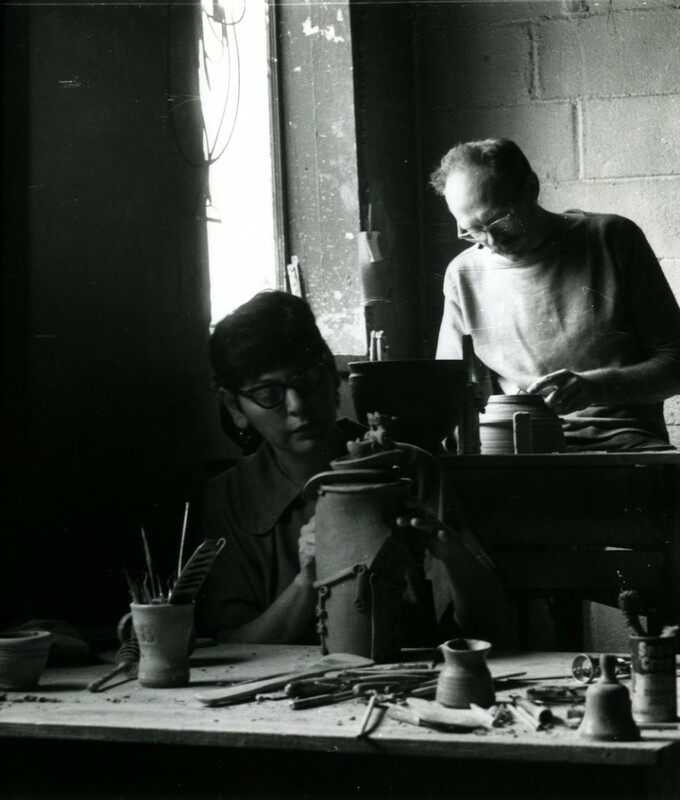 He and Alix MacKenzie, his first wife, spent two years there learning from renowned potter Bernard Leach. This defining experience and his subsequent partnership with Alix led to his artistic process of throwing between 50 and 200 pots a day. 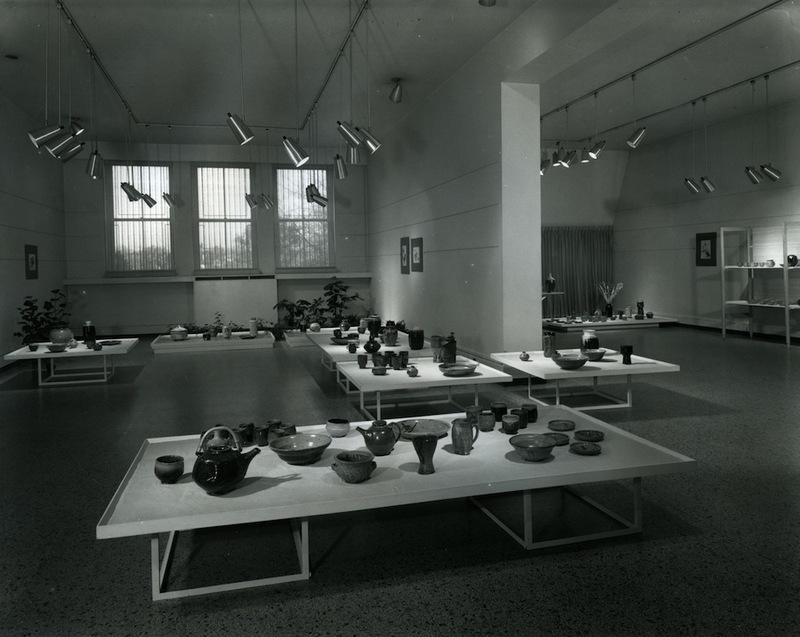 This was a normal output for him when his work was first shown at the Walker in the 1954 show MacKenzie Ceramics. MacKenzie’s work has been shown here four times, and always through MacKenzie Pottery, the name he and Alix adopted after they converted a barn into a studio in Stillwater, Minnesota. 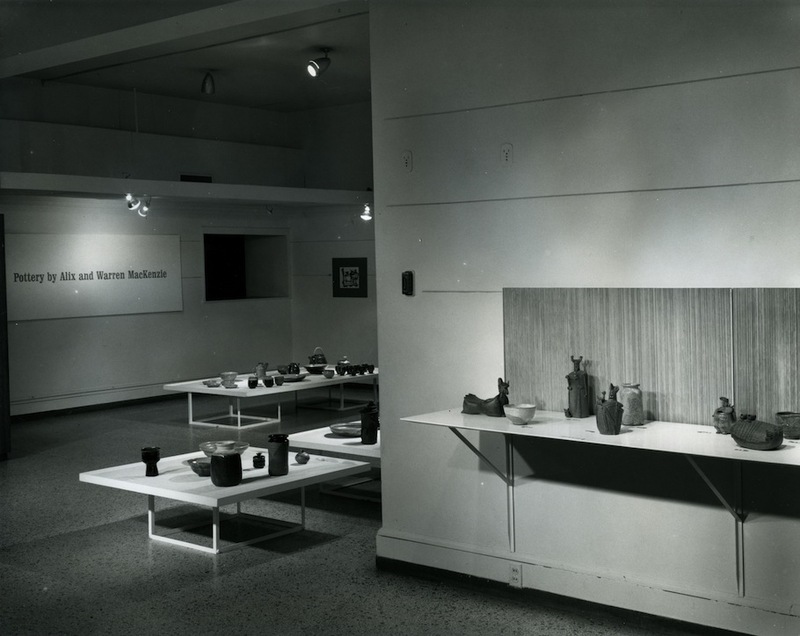 Their last and most comprehensive Walker show, Pottery by Warren and Alix MacKenzie, was on display 52 years ago. But coming from a potter known for saying “The first 10,000 pots are difficult and then it gets a little bit easier,” this shouldn’t necessarily be seen as a criticism of the show. It is a nod to the progression of a traditional potter — one who makes accessible objects for everyday use — where the artist learns more about the making of pots with every piece. There is no threshold at 10,000 or 100,000 pots — an output that MacKenzie has undoubtedly exceeded — where the art is perfected and nothing more can be learned or experienced. Mackenzie Ceramics marked a point on the development of MacKenzie as a potter, as did Pottery by Warren and Alix MacKenzie, as do each of the days he continues to sit at his Leach wheel and throw clay. Each of the four times work from MacKenzie Pottery was exhibited at the Walker, the pieces were equally meant to be sold as admired, but the idea of the sale has been a contentious aspect of his career. As Torbert noted, MacKenzie’s aim has always been to give the general public access to his work. 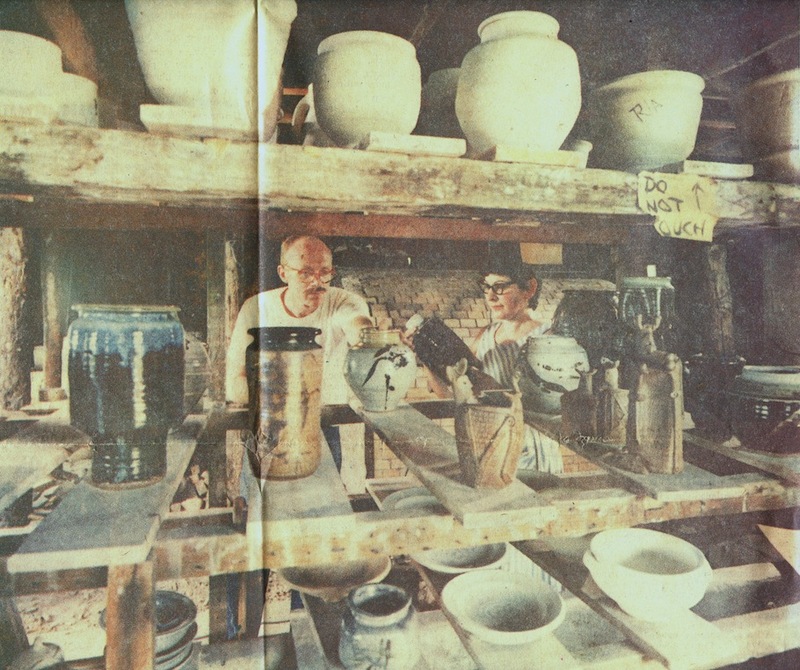 Unfortunately, as his name recognition grew — and the value of his pottery with it — it became impossible for him to distribute his work as he desired. For instance, the honor system he set up in a Stillwater showroom was taken advantage of by people who bought more than was allowed and then resold items online for profit. The problem with his work fetching high prices on secondary markets, besides the money going to someone other than MacKenzie, is that the objects become more precious and less likely to be used in day-to-day life. MacKenzie challenged the idea that sophisticated art cannot be an everyday object. Looking at a pot he has made, with its irregularity of form and uneven glaze, you may think it looks like any old pot; but looking does not lead to understanding. To drink from, to eat out of, to wash a Warren MacKenzie pot is to understand it.